Image Enhancement works hard to give the best customer service to offer the most current advanced technology in all aspects of hair additions. Our mission is helping the client to achieve their dreams for hair wellness and the best hair solution that we can achieve together. We aim to accomplish this mission every single day. Virtual Reality® present totally new innovation in hair replacement developed through a concerted effort of hair loss professionals and certified VR image consultants. Virtual Reality® have the attention of celebrities, Hollywood stars, producers, directors, celebrity stylists and the media. National TV shows like "Movie & a Makeover", Good Morning America, and The Montel WIlliams Show have featured the process as well as TV news reports on ABC, NBC, and Fox networks. National magazines, from hip titles like Maxim, Details, and the traditional New Yorker as well as Modern Salon have touted the amazing results of the "Virtual miracle". 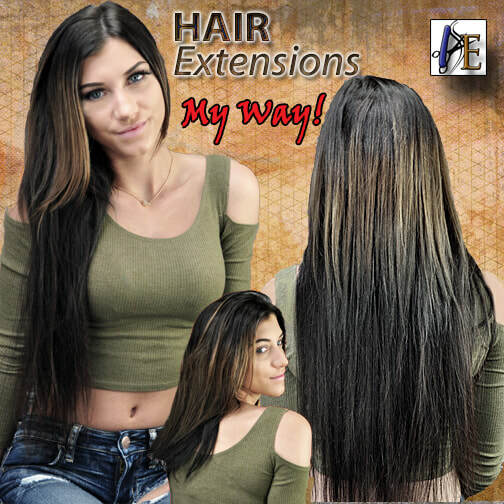 is your source for today's hair additions, hair extensions, fashion wigs and hair replacement for men, women and children. Stop wishing about looking authentic! Your dreaming ends right here, right now! Start showing off that genuine and confident YOU! Because Image Enhance.com, is here to take care of your hair by providing advanced and affordable hair and wellness solutions.